Community Media gives people the skills and tools to tell their own story. PTV has a story to tell. ​It is the story of Provincetown, whether experiencing a sleepy winter chill at an East End beach or a crowded summer stroll at the Breakwater. It is the story of local artists told by their friends and neighbors. It is the story of the community coming together as one voice to cheer our triumphs and protest threats to values we hold dear. 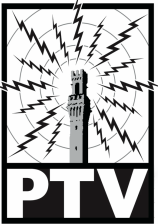 Throughout the year PTV works with individuals, town government and nonprofits to help them reach out to the community through our two cable television channels, social media, and our web-based on-demand libraries. Will you be part of our story with a donation today? This year we have a fundraising goal of $10,000. Your tax-deductible donation will help us improve our production facility and help supply new, easy to use equipment for you, our members, and our community. Will you help us tell the story of the town you love? Please donate today.